Woman sitting on cannon at Fort George, late 19th century. Castine Historical Society Collections. 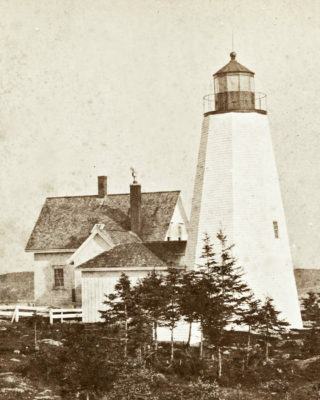 Enrich your visit with the Castine Virtual History Tour. 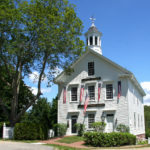 Explore our town and learn about our historic sites! The tour features short histories, audio, and galleries of historic images. Take the tour while you visit Castine, or in the comfort of your own home. 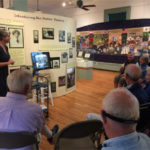 The tour was created and supported by the Castine History Partners, a coalition of non-profits and the town government established to meet the growing demand for information on the history of Castine, Maine. 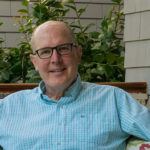 Members of the coalition include: Castine Historical Society, Maine Maritime Academy, the Town of Castine, Wilson Museum, and Witherle Memorial Library. 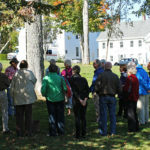 This project is funded with grants from the Hancock County Fund of the Maine Community Foundation, the Maine Humanities Council, and support from the Castine Community Partners. Our Castine Virtual History Tour mobile app is available for download for mobile devices on Google Play and the Apple App Store. Or go to castine.oncell.com to view the full app on the web.